I’d like to take you back in time to the birth of this nation. The year is 1775, and the British are marching in the dead of night to capture the guns of the colonial militia. Four riders launch into the night to awaken the minute men. The colonials succeed, and beat the British to their supplies of weapons. The British get nothing. 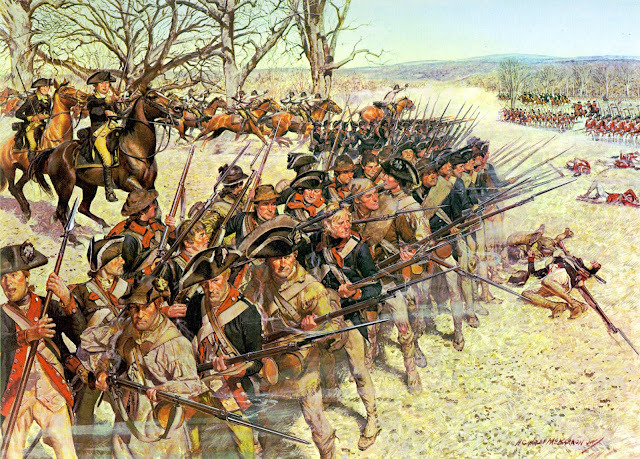 At Lexington plain clothes militia line up in a field as British troops march toward them. The two groups stand across from one another, pointing weapons at each other, and someone fires. The colonials are driven back. Later at Bunker hill the colonials fight off wave after wave of British soldiers ,but are finally defeated when they run out of ammunition. A war had begun that would change the world. The colonials would make a new state of independence from Britain, outlining the rights of all men. 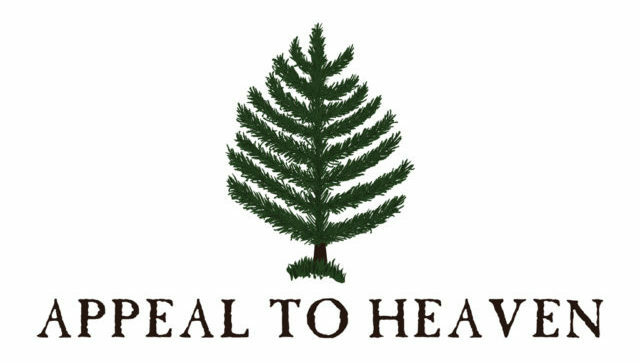 A radical new notion would begin to spread from America across much of the world: the notion that all men are created equal under God. 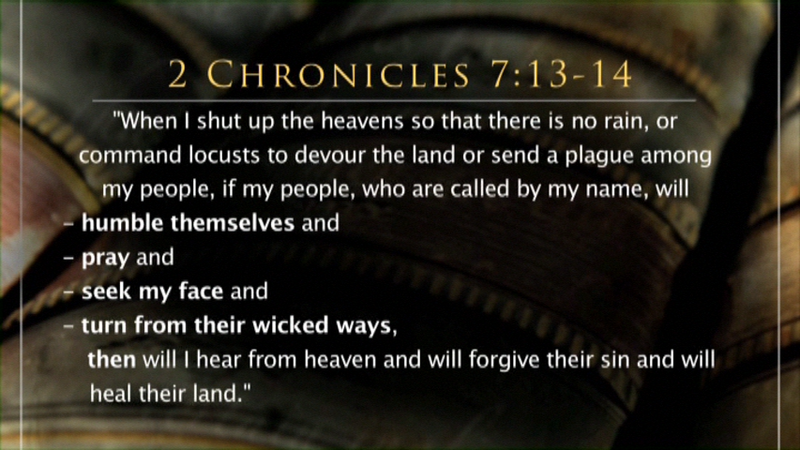 Soon a Christian nation would be born. A Constitution would be constructed with the intention of putting biblical principles into practice, not to force religion on the people, but to offer the people God given liberty and freedom, something that God had given all people. This was scandalous, at that time in history, it was unthinkable to even consider the possibility that everyday peasants were in any way comparable to royalty, the rich, or the affluent. Today it’s something we take for granted. When the teacher in school asks the students what they want to be when they grow up, and one child says “I want to be president of the united states” the teachers natural reaction is to say: maybe you will be. Anyone can be president. We’re a meritocracy. We rise based on our merits and based on hard work. 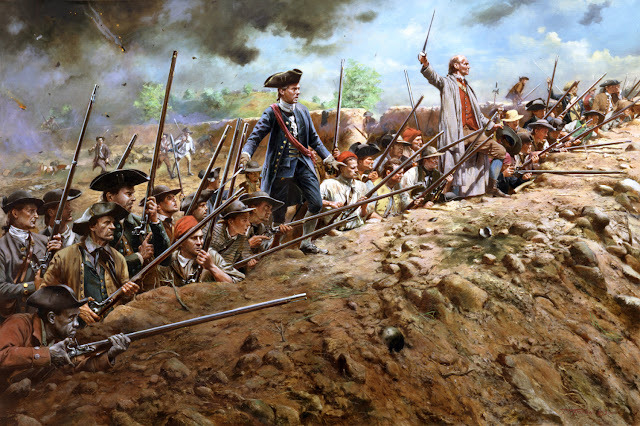 Our ancestors, during the American revolution, were bands of farmers, traders, and merchants, armed with rifles, taking on the most powerful military in the world. Early on in the war of independence, General Washington was attempting to route the British from Boston, which they had occupied. Naturally he could do this with artillery, only one problem: He didn’t have any. Can you imagine that? An army of peasants, with a handful of ships, squirrel rifles and buck shot, fighting the strongest power in the world. A continental army, with no artillery, no training, and quickly running out of black powder, which was rare in the colonies, against this mighty British empire. Yet the hand of God almighty seemed tied to the fate of our fledgling nation. General Washington called it “the hand of providence.” Henry Knox one of Washington’s trusted advisors, managed to gather the artillery from a captured British fort (Fort Ticonderoga) ride it across the frozen lake George, and bring it to Washington to use to drive the British from Boston. Washington positioned the artillery on a tall hill overlooking Boston, called Dorchester heights. And from Dorchester heights, the artillery could hit the British fleet in harbor, and the troops garrisoned in the town. So they won the day, by taking the high ground. Against near insurmountable odds, the outlook seemed grim. The British went on to capture New York and drive out Washington’s army. Washington army was poorly supplied and their were outbreaks of small pox in his camps. Thousands were taken ill and many returned home after their enlistments were up. Near the end of 1776 it seemed like there was little hope, but a great turning point in the war took place, when on December 25th Washington launched a surprise attack, crossing the Delaware river at dawn. He won a stunning victory at Trenton, rallying the troops to victory. So a nation was born, the United States, after many years of war, in the most unlikely of contests. 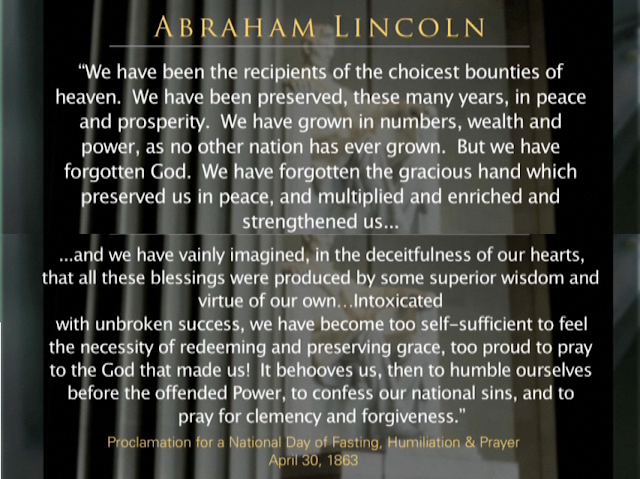 God’s sovereign hand of providence rested on human history to guide the founding of America. It’s my sincere belief that God guided the events of the American revolution to found a Christian nation. All the way back to over a hundred years earlier, in 1620, the pilgrims were planning their voyage to the new world. 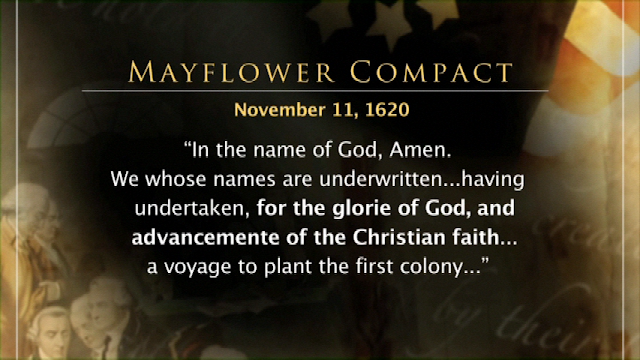 I’m sure many of you studied the mayflower compact in elementary school. But did you know that the pilgrims believed that they had been called by God to establish their colony for the purpose of the advancement of the Christian faith? 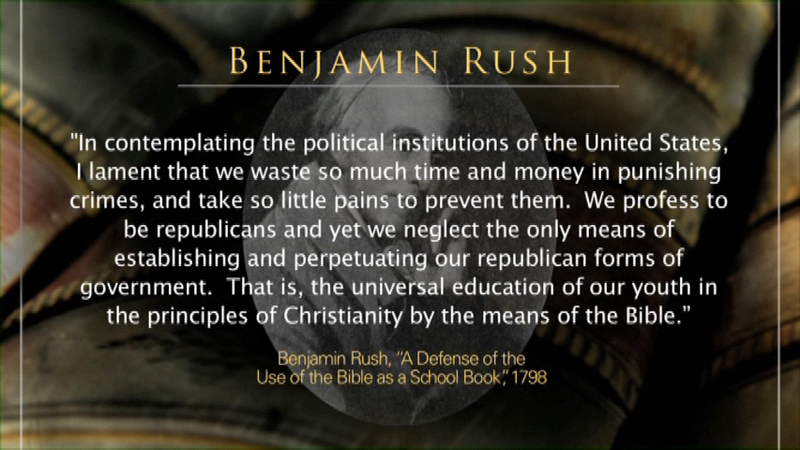 In most public school textbooks the references to God and Christianity are omitted. They’re just edited out. They call this revisionist history. And it cuts off young people from understanding the truth of their country, their heritage, and their faith. Maybe that’s why young people are so confused these days. The founders firmly believed that America could only survive if it upheld two vital factors in the culture: Religion and morality. And when the founders referred to religion, they weren’t referring to world religions like we think of it today, they were referring to the various denominations of Christianity at that time in history. But they understood that our society is upheld by Christianity and Judaeo-Christian ethics. Let’s look at what some of the founders and framers had to say about this. 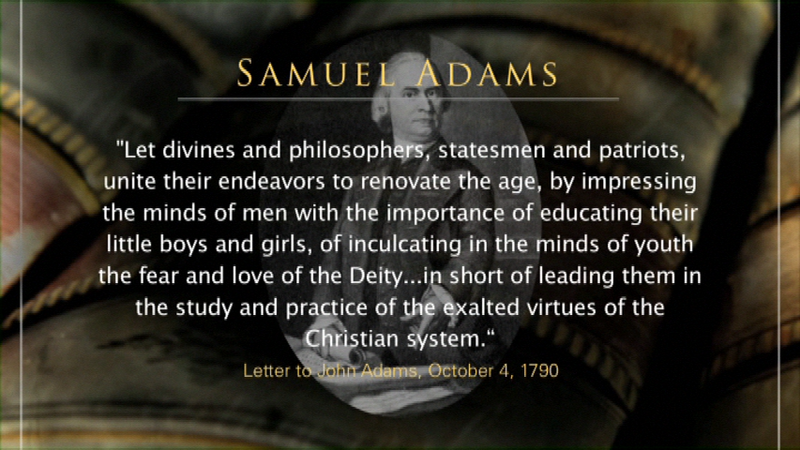 Many of the founding fathers of our great nation understood the value of the Bible, religious faith, and morality. They declared it time and again, as the underpinning of the Constitution and our entire way of life. 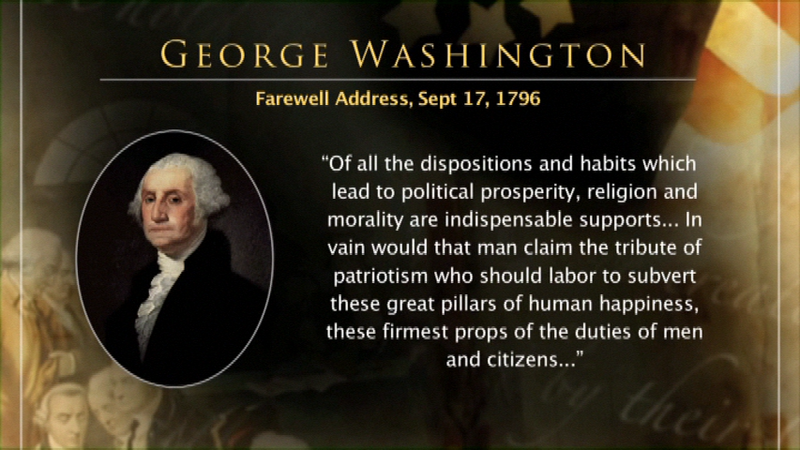 Unfortunately over about the past two hundred years something has happened to America. Especially in the last fifty years it’s really picked up pace. But it really began with Darwin’s publishing of the Origin of Species in 1859. This led to a sort of evolutionary idea taking on a framework within science, philosophy, and the law. Slowly this evolutionary naturalism began supplanting the idea of natural law. Instead of God given rights that government had no say in, which is natural law, instead a new idea called legal positivism began to take hold. And essentially this view states that government is the ultimate arbitor of rights, and the government is the only entity that can give rights. Legal positivism is the idea that law evolves, and is ever changing. There are so many other factors that play into the ideological decline of the United States. One could look to Hollywood, or secular media, or the sciences, or modern philosophy, but at the root, much of it comes down to education. A secular minority was able to begin to take control of the education system, and with it went the youth and soon America was slowly being transformed from Judaeo-Christian roots to a survival of the fittest mentality. Can you believe the utter madness of this? This foolish, self contradictory idea of relative truth, and how destructive that is to young minds trying to understand the world around them? The kind of confusion, immorality, and moral chaos this invites is truly staggering. Is it any wonder we see school shootings? Is it any wonder we see such rampant immorality in youth? We’ve allowed our educational system to become an amoral breeding ground of unsound teaching. The founders understood the necessity of the Bible, religion, virtue, and morality. And as Christians we understand the immense value of this timeless wisdom. In a country so deeply inspired by the word of God, it was simply astounding to hear reports from some of the young people I work with. They’ve told me that if they dare bring their bible to school with them, to read, they will have it taken away from them, and they may get detention. They are told they do not have the right to pray. They are told they cannot wear crosses or religious t-shirts. Yet all of those simple activities are explicitly protected rights under the 1st amendment of the united states; giving all people the right to practice their faith wherever they go, and to speak and share their values. This sort of thing is rampant in bigger cities, but to hear about it happening in a small town is quite troubling. I hope you’ll be in prayer for your local school, and for the children of our world. 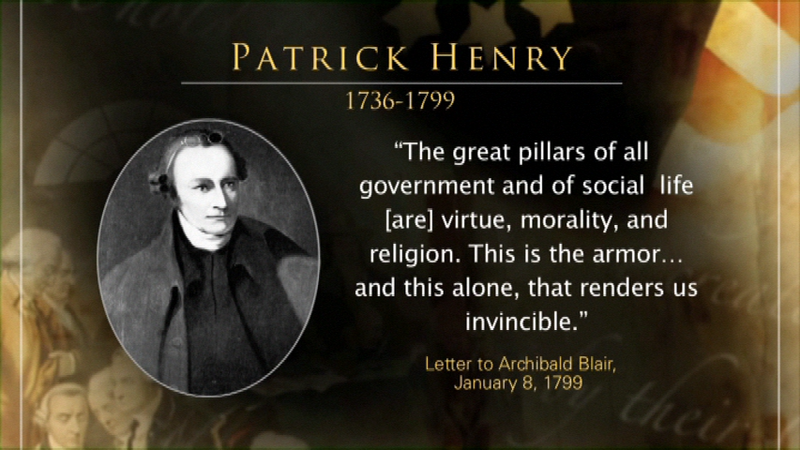 America has truly moved far from the original intentions of the founders and of the Constitution and bill of rights. But I see great reason for hope. Many are waking up and coming to realize the value of God and the Bible. Many are growing tired of the intrusions of government into the daily activities of citizens. Many are upset with the government’s violations of religious freedom. And many are looking to reclaim and reshape education to better reflect the traditions of the people. But we have an obligation as parents and youth leaders to share our values with our children, and help them understand their rights. We must help them to remember who they are, and who their God is. Our Lord in scripture reminds us time and again in scripture, he instructs us to: Remember. In the same way, that the Israelites passed over the Jordan, and the Red Sea, so when we are washed in the blood of Jesus Christ, we are set free from sin. Sin passes over us and we walk free of it, onto dry ground. Thanks to Jesus Christ. And in the same way the Israelites were told to remember, we celebrate memorial day each year to remember the sacrifice of angels to uphold this dream of a nation that trusts in God. We remember the sacrifice of angels, who rally to offer up their blood, sweat, and tears to give us this dream of life in America. We’re so blessed. So blessed in America. Our lives are so safe here. It’s like a little piece of God’s heavenly order on Earth. It’s not perfect, but compared to the rest of the world, the 3rd world, it’s like a little paradise. But we must remember how God provided for the colonists when they fought the British. 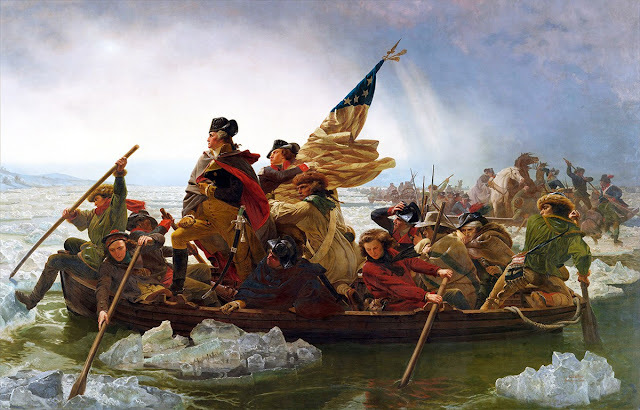 God encourages us to remember, when in times of fear and doubt, when it seems that sin and chaos reign in America: Remember how impossible it seemed for your fledgling nation during the American revolution. Remember how all the odds seemed to be stacked against you, yet you triumphed. Remember how the Lord has been so faithful in the past, and know He will be faithful again in the future. And remember how the nation threatened to tear itself apart over the issue of slavery, and how brave men fought in a bloody civil war. And when all seemed lost, and the union seemed that it would collapse, God ensured it would remain together. And remember how in World War II Hitler and the Nazis threatened the entire world with slavery and death. Remember how the committed genocide by the millions. And remember how America rallied, and drove this evil from Europe by the blood of hundreds of thousands of brave Americans. It’s not too late for America. When all seems lost, when it seems like there’s so little hope left, that’s just when God is at work in mighty ways, to turn the tide. Our part is to believe. Our part is to pray. And our part and good and decent people is to take action. Like Gideon, as he was hiding from the midianites, we feel as if we can’t do anything to help our country. We feel helpless, outnumbered, afraid. But the Lord arrives to us, as the angel of the Lord did to Gideon and he sees in us what we can’t see it ourselves. “Hail mighty man of valor!” Said the angel to Gideon. Gideon is disillusioned and he asks why God has allowed this to happen. But the Lord says, “I will be with you.” And you will succeed. In the same way, when we take action to help our country, God blesses that work with victory. It’s not too late for America. When all seems lost, when it seems like there’s so little hope left, that’s just when God is at work in mighty ways, to turn the tide. Our part is to believe. Our part is to pray. And our part, as good and decent people, is to take action. On this memorial day weekend, I would like to encourage you to do something for your country, the United States. I’d like to encourage you to Appeal to Heaven for America. There is a simple formula. We humble ourselves before God. We pray. We seek God’s face. And we repent of our old ways. 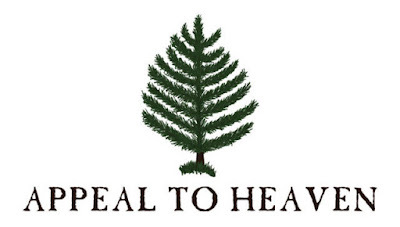 We appeal to heaven. Note: Numerous resources, pictures, and facts from this presentation originated from "The Truth Project" by Focus on the Family, hosted by Prof. Del Tackett.